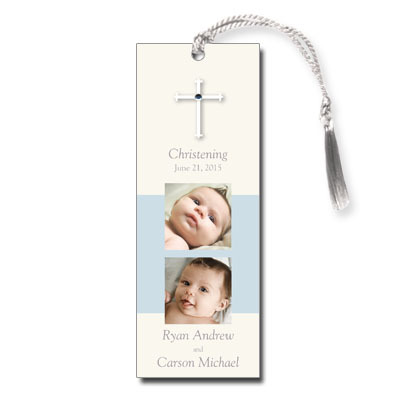 Soft beige and light blue are the perfect baby colors for this Christening bookmark. Two photos of your twins are featured in with names beneath. A dimensional crystal jewel rests on top of a white cross for a touch of sparkle. Measures 2x5.5 and comes with white satin tassels.